*Mention this website to waive Admin Fee at sign-up. 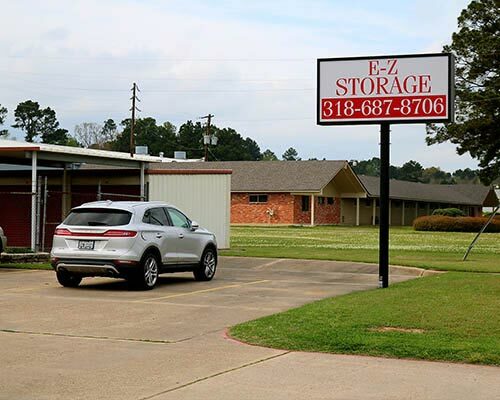 For over 35 years, E-Z Storage has provided affordable, accessible self storage and vehicle parking spaces to residents of Shreveport, LA. We offer 24-hour access to all 300 of our storage units and 80 of our outside transportation storage spaces, kept safely behind a gated, surveilled enclosure. Make the most of your storage needs and contact us about rates and availability! Whether you’re running out of storage space in your home, need temporary storage while you move or are just looking for long-term solution to keeping your belongings safe, storage units in Shreveport, LA are the answer. E-Z Storage is proud to live up to its name, making it simple for you to get the storage you need, at a rate that’s affordable. From simple 5’x10’ units for general use, to massive 10’x30’ units for business storage, our units are clean, secure and ready to be occupied by your items. And, no matter what you leave with us, it’s guaranteed to remain safe and sound. We’re completely dedicated to our customers and their items. 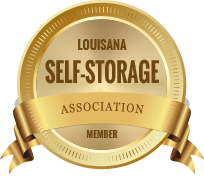 More than just offering you general self storage in Shreveport, LA, our facility takes every precaution to give you both peace of mind and accessibility. Our lot is gated and closed off to the general public, with individual keypad access for our customers. On top of this, we have CCTV surveillance to monitor our units and deter trespassers. Despite being completely closed off, you’re able to access your unit at any time, 24 hours a day, so long as you have your gate access code! And, with paved driveways and wide aisles, you’ll have no trouble driving in, loading and unloading. 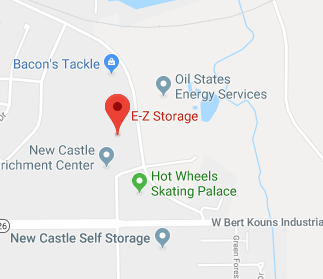 Contact us today and see exactly how E-Z Storage lives up to its name! Customers have 24-hour access to all storage units and outdoor vehicle spaces. Our lot is fully-gated to keep trespassers out, with keypad access for customers. We have a new, state-of-the-art CCTV system to monitor the premises. Our units come in a variety of sizes, from 5’x10’ to 10’x30’. Our lot is fully paved, with wide drives that make it easy to maneuver your vehicle. No matter what sized unit you need or how long you need it, we have self storage ready for you! Contact us today for more information about rates and availability.